We get it - the beginning of the year can be tough on the wallet. That’s why we’re offering 5 lucky ClearScore users the chance to have up to £2,500 paid off their credit card bill when they refer their friends. Plus, if you're one of our five winners, your friends win too. 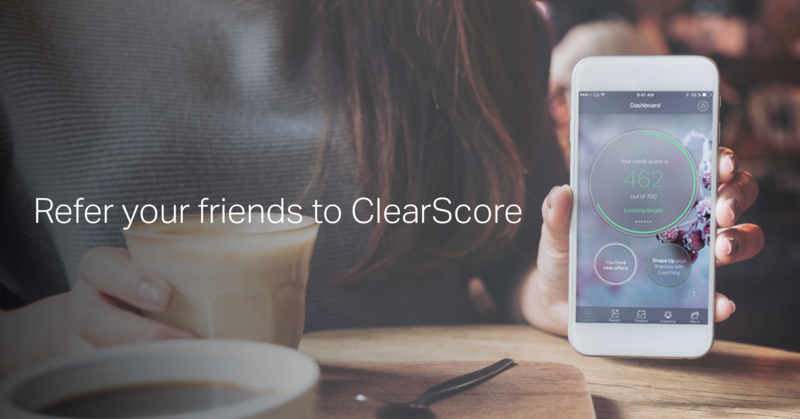 The first 5 friends that successfully signed up to ClearScore from your referral will have up to £100 paid off their credit card bill as a thank you. Get your friends to fill in the following form (including your name and email address) and complete their registration with ClearScore. You’ll get one entry into the draw for every friend that successfully signs up, so the more friends you refer, the greater your chance of winning! Referrals close on the 28th February and the winners will be announced in early March. Please read the full Terms and Conditions before you enter.